What a difference a year makes. As I walk into Ray's Grill, I reflect on my previous visit about a year earlier. A year is able to offer a great deal of perspective, especially in my context for I recalled clearly that my visit then, soon after Ray's had opened, was less than flattering. Needless to mention, but this visit is about seeing the progress made since that evening in 2014. 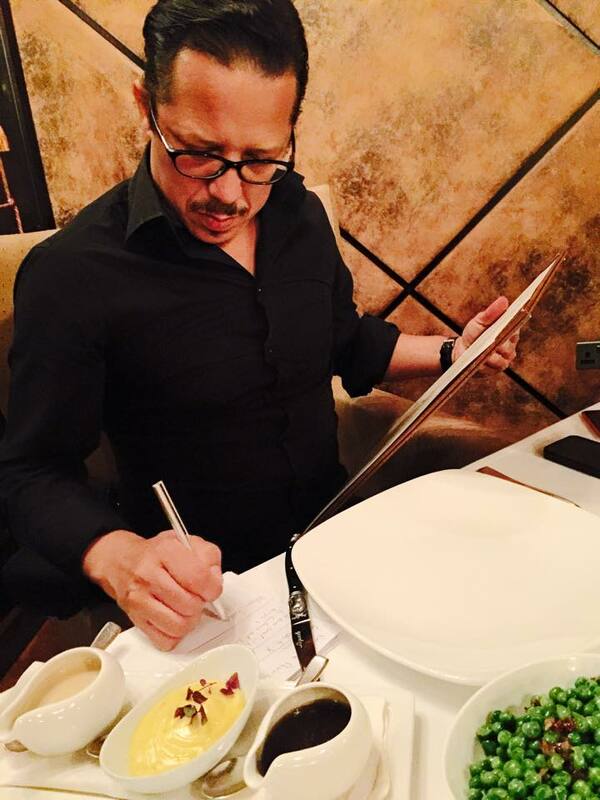 This is by far the most interactive steakhouse experience around in Abu Dhabi right now. I say 'right now' because it is sure to be copied and imitated. Its innovative approach to offering a value added experience to the guest really sets it apart from its competitors. 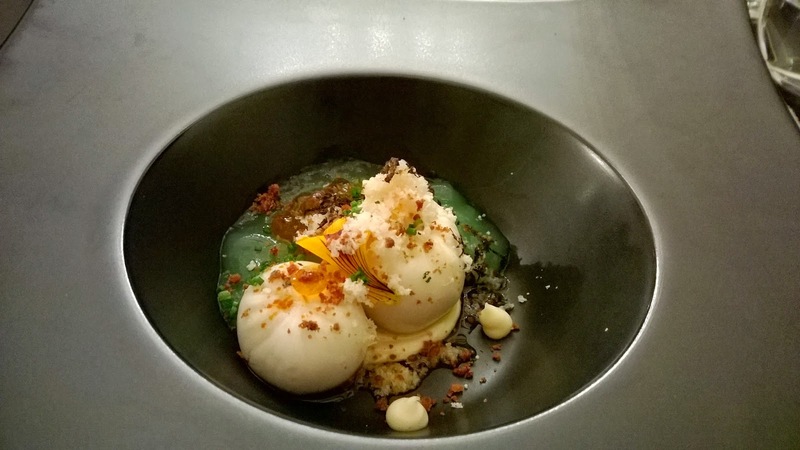 Staff are a restaurant's greatest resource, and their concept allows for staff to engage guests in a natural and essential manner. 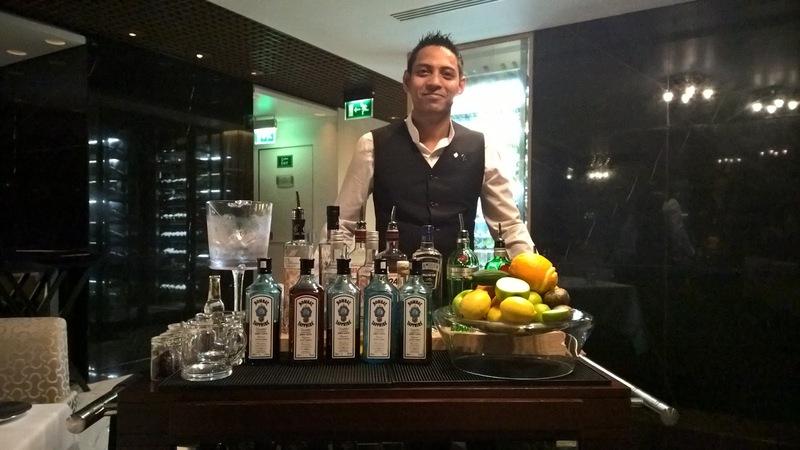 The Gin Trolley allows guests to have an aperitif prepared table side. While not unique to Ray's (there is one other steakhouse offering this), it provides the first bit of interaction and drama for the night. Gin based drinks, incidentally are very fashionable these days, so it is a good call to offer this. I am told another trolley will be introduced soon. Hush. Very exciting stuff ahead for Ray's Grill diners. 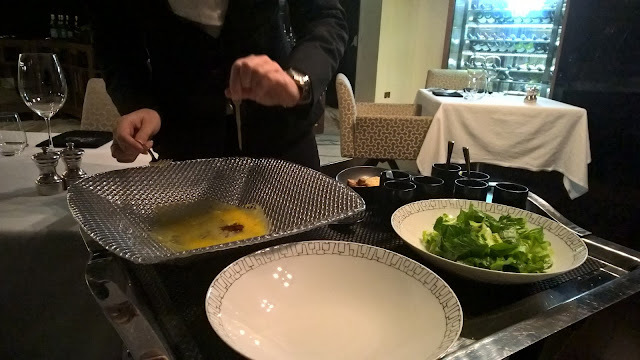 Then there is the Mustard and Salt trolley, itself an innovation and unique in the city. 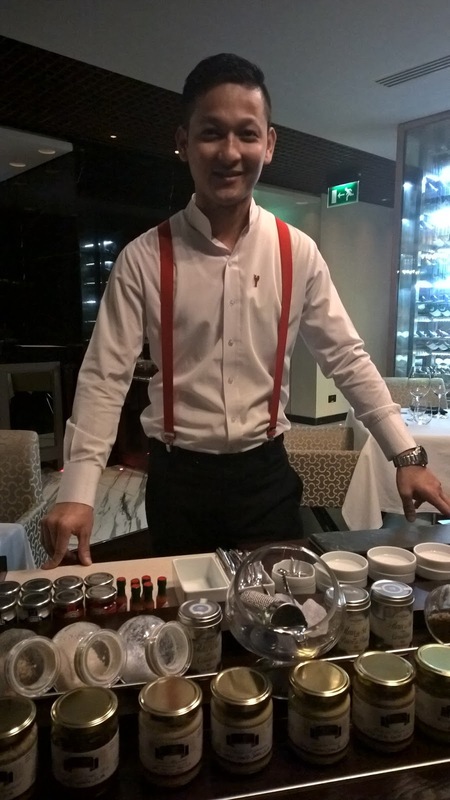 The Mustard and Salt master, Biraj, turns out to be a highlight on the night. 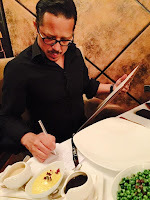 His product knowledge is impeccable, illustrating in a heartbeat the importance of staff who know what they are talking about, and he does it in a way that instills confidence in me to be guided by him. And this trolley is not just a gimmick. These two ingredients are very at home in a steakhouse. 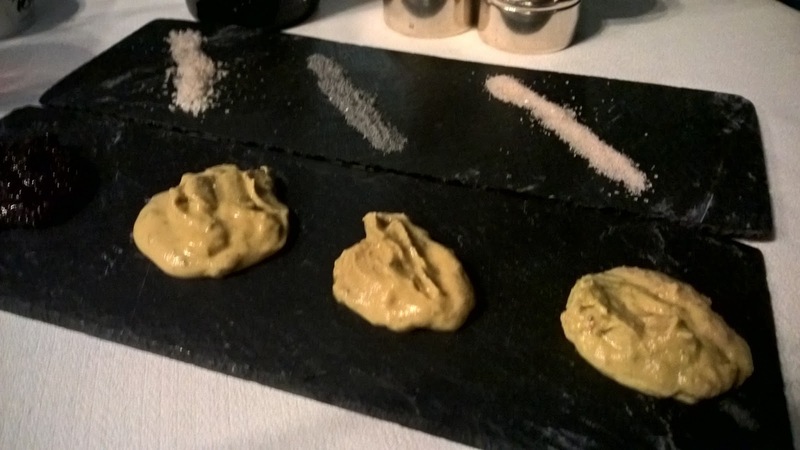 The bare facts - 12 types of mustard and 8 types of salt. Impressive in their own right. Housed on the 63rd floor of the hotel, the cliched 'amazing views' come into play, but nonetheless needs repeating. Despite lighting that is too bright in places, and a point the restaurant assistant manager is well aware of, the views are breathtaking. In addition, Ray's Grill shows how effective carefully chosen music can be if it ties in with a restaurant's concept. The contemporary jazz music and the suspender-clad waiters, all manage to gel into a believable concept. And yet, and this is delightful big surprise, the restaurant is family-friendly. That does not mean kids running around the restaurant. But a 12 year old with a mature personality and who understands restaurant etiquette will not feel out of place. My 9 year old could certainly visit this restaurant. Like at three or four other steakhouses around the city, you will find the best beef here. However, two starters my guest and I share are worthy of mention here. The Caesar salad, prepared table side, again brings theatre. 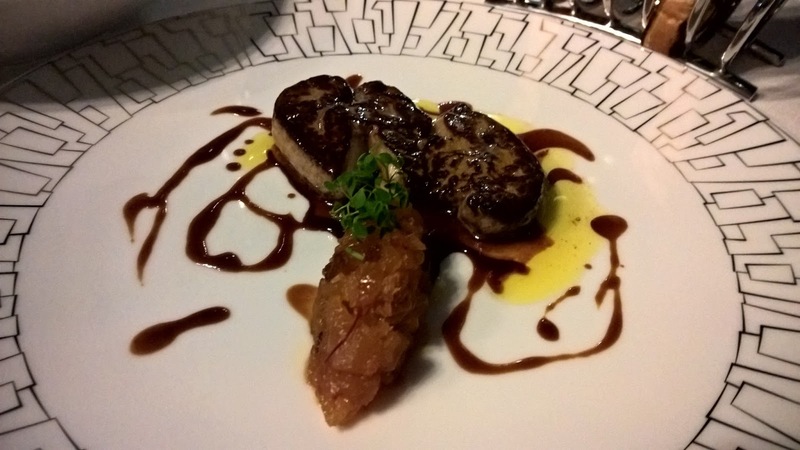 The Pan seared foie gras is classic - thankfully seared with a bit more gusto to reveal a darker surafce. In the end, it is the lack of too much sweetness in the pear chutney that endears me even more to this dish. 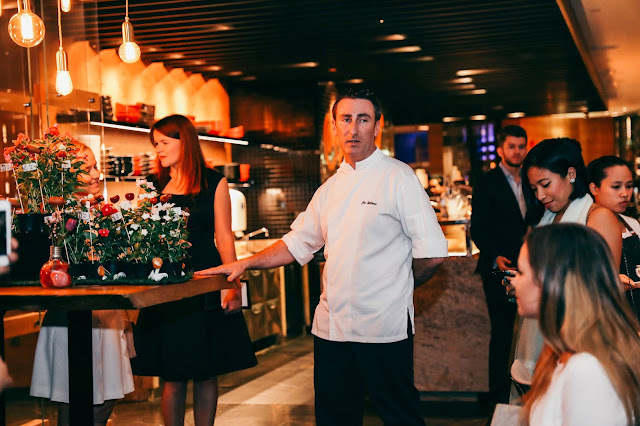 My guest and I then order two of their signature grills, the Irish John Stone Sirloin and the highly regarded Australian 'Master Kobe' - two very different cuts of beef with equally varying prices. 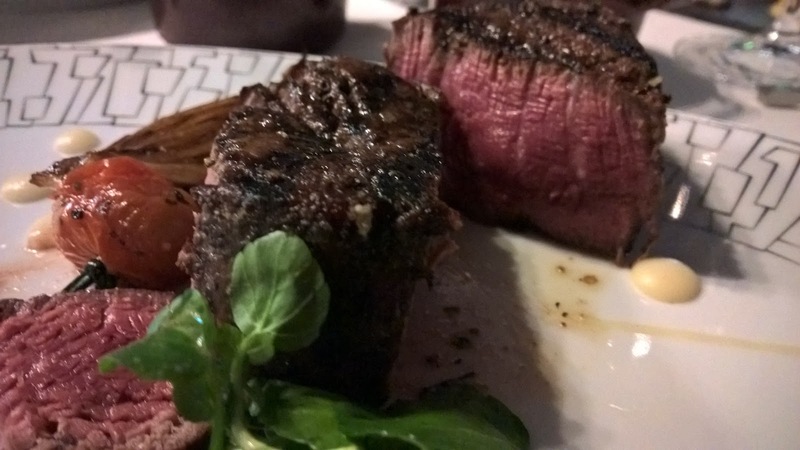 I recommended the John Stone for a more mature beef eater, because while it is not as tender as a tenderloin and it does not 'melt in your mouth', it is flavourful as it has a bit more fat around it than the tenderloin, so cooked perfectly, it brings a more intense flavour. I love it. Our other cut, is more your 'melt in the mouth' cut. Wonderful marbling. Superb. Unfortunately one of our sides, the Potato puree is more a mashed potato than anything else, so it disappoints, but another bite of the beef sets everything right again. On the night, I have the De Toren Z, a wine that benefits from being decanted, and as the night wears on, gets better. A very good choice at that price, and more importantly, is a fitting option with the excellent cuts of beef we enjoy. 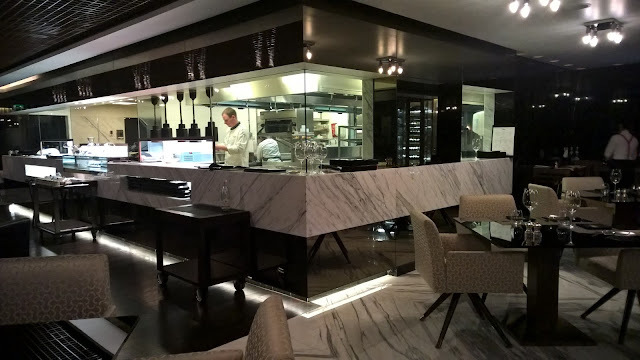 Ray's Grill is a serious player on the steakhouse scene in Abu Dhabi. Its human element in which it engages its guests through some wonderful concepts is a big part of its growing success, I believe. 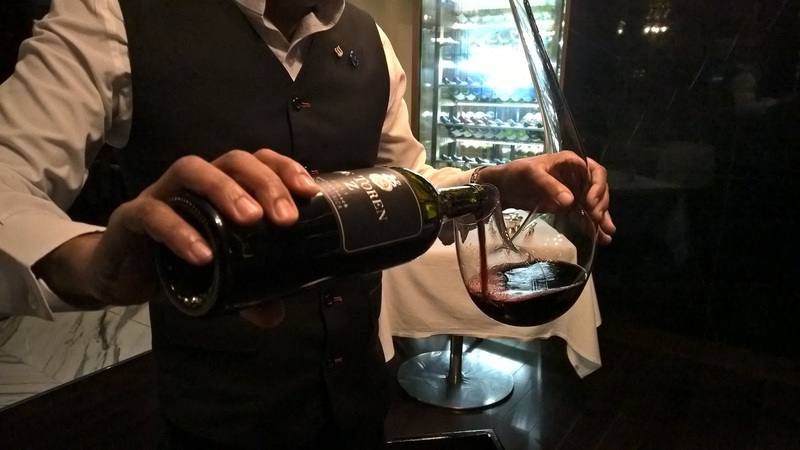 It has a wine selection to match some excellent beef options, and while people may say it is expensive, and while steak in the capital is generally pricey, it should be noted that it has an entry level steak of around 165AED, making it competitive with most of the steakhouses. 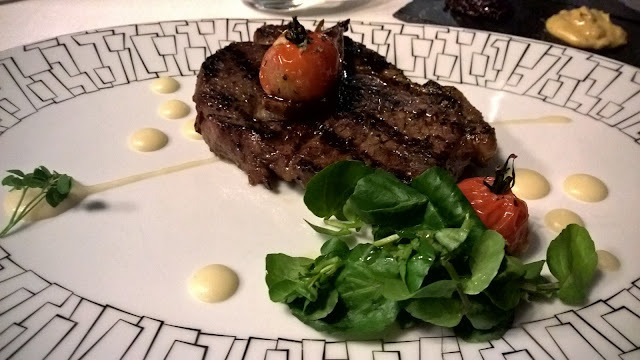 With top steakhouses often serving similar cuts of beef from the same manufacturers, it will be what I call the value added aspects that will allow steakhouses and restaurants in general to differentiate themselves from the flock, something that Ray's Grill is doing exceptionally well. Disclaimer: I consult at restaurants and hotels in an attempt to look at the entire product to take service levels to where they should be. I visited Ray's Grill courtesy of the hotel.